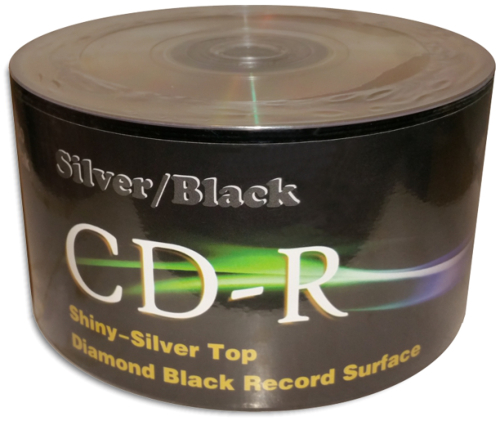 GenesysDTP 80-Min 52X Shiny-Silver on Black Colored CD-R’s As low as 27¢ each! 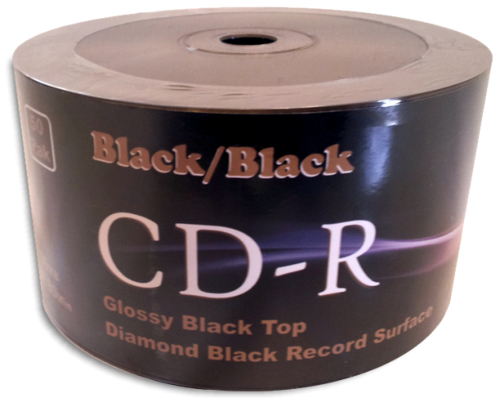 GenesysDTP 80-Min 52X Double-Sided Black on Black Colored CD-R’s Double-Sided means both sides are Black Colored. Both sides are NOT recordable. As low as 39¢ each! Genesys DTP 80-Min 52X White Inkjet Printable on Black Colored CD-R’s White Inkjet (black hub) As low as 35¢ each! Spin-X 80-Min 48X Shiny-Silver on Orange/Purple Colored CD-R’s Available in Orange or Purple As low as 23¢ each! 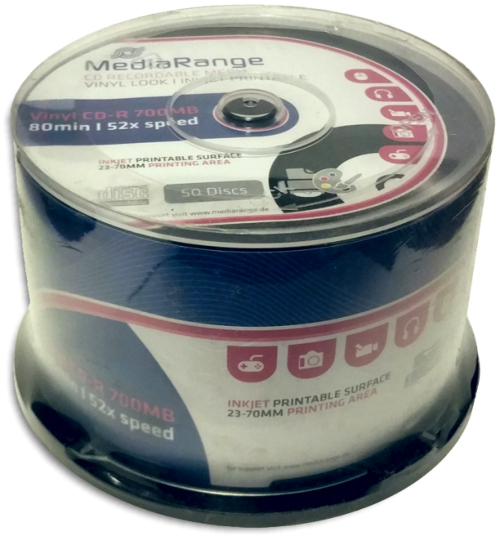 MediaRange 80-Min 52X Digital Vinyl White Inkjet Hub Printable Diamond Black CD-R's As low as 55¢ each!